The 2015 Pro Football Hall of Fame Enshrinement Festival Balloon Classic/Jackson-Belden Music Fest & Fireworks will be this Friday, July 31, through Sunday, Aug. 2, at the Kent State University at Stark and Stark State College campuses. Approximate times for scheduled flights, weather permitting, will be Friday at 6:30 a.m. and 6:30 p.m., Saturday at 6:30 a.m. and 6:30 p.m., and Sunday at 6:30 a.m. 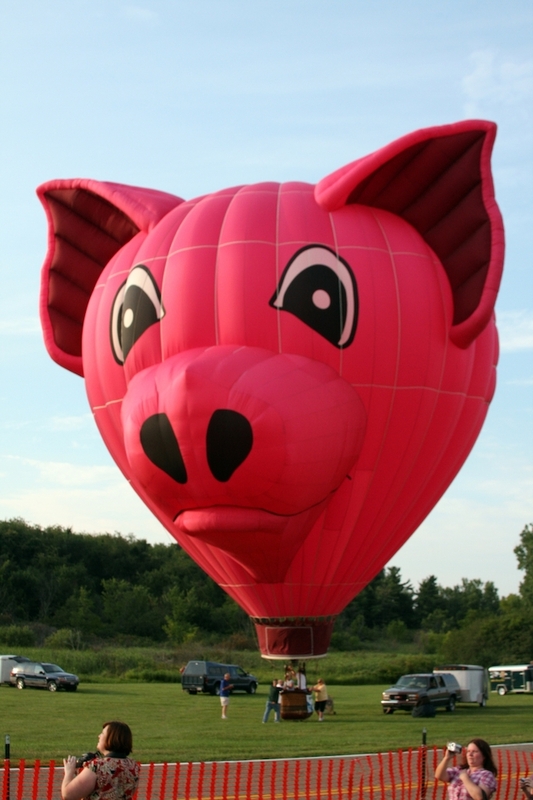 There will be 51 sport, commercial and special shape hot air balloons, including The Pig, SnoBird, Puddy Tat, Tweety Bird, El Fonz, Little Pirate, and 3 Wise Monkeys. Some pilots will compete in a team format, while others will fly "fiesta" in a non-competitive format, with an available prize package of $17,500. Spectators can marvel at the "Night Glow," sponsored by Fresh Express/Fishers Foods, on Friday at 9:30 p.m. when they illuminate their balloon envelopes while tethered at the launch field. The Balloon Education Area, sponsored by Smucker’s Uncrustables, will provide a special opportunity for adults and children to enter a fully inflated balloon envelope and learn about the envelope, balloon basket and burners. 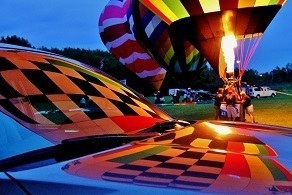 Residents of Stark County can participate in the ballooning excitement by allowing a balloon to land on their property. To signal pilots for landing, place a white sheet in a 200’ x 200’ grassy area. The landing area must be clear of trees and power lines, as well as allow enough space for the balloon to land. The pilots offer landowners the chance to win a $100 U.S. Savings Bond in appreciation of land use. Great food and entertainment are also on tap at the Jackson-Belden Music Fest & Fireworks on Friday and Saturday evenings. There will be a variety of food vendors, playground of inflatables for children, musical concerts, and of course fireworks on Saturday night at 10:00 p.m.
Friday night musical entertainment lineup: Blues in School - 4:30 p.m. Hey Monea! - 6:00 p.m. – 6:40 p.m. Joe Vitale Jr. - 7:10 p.m. – 8:00 p.m. Chris Higbee - 8:15 p.m. – 9:15 p.m. Joe Grushecky & the Houserockers - 9:45 p.m. – 11:15 p.m.
Tom Frietchen Band - 5:00 p.m. – 7:45 p.m. Phillip Fox Band - 8:15 p.m. – 10:00 p.m. Phillip Fox Band - 10:30 p.m. – 11:30 p.m. The Pro Football Hall of Fame Enshrinement Festival Balloon Classic/Jackson-Belden Music Fest & Fireworks event is presented through a cooperative effort between the Canton Regional and Jackson-Belden Chambers of Commerce. For more information, call Andrea Hartman at (330) 458-2054, or visit the Enshrinement Festival Web site at www.profootballhofef.com.